Jon Sine is a Berlin and Düsseldorf based DJ and producer. His style is best described as a deep and dubby blend of house, deep house and techno. His productions combine old school beats with funky basslines and pluggy synth riffs, with most tracks geared towards a club focus. His work however retains a consistent harmonic focus, with hypnotic and introspective melodies. It may remind you of 80s and 90s House, with similar shades of mood to Neo-Noir films. Jon meshes these elements with contemporary vibes to ensure that his productions retain a cutting edge. 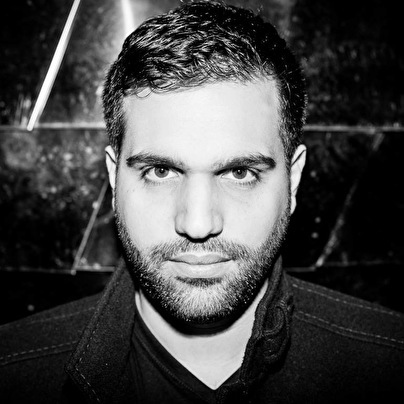 Since 2010 his music has been released on a number of labels; including Berlin based Get Physical Music wich was founded by Booka Shade, DJ T. and M.A.N.D.Y, - on Kindisch, Soulfooled, and Emma Music as well as on his newest imprint Suara. These formative releases have already brought some notable success in the Deep House Charts on Beatport peaking up to the Top 20 of the Genre Charts and staying there for more than 3 months. 2014 is already packed with releases on Save Room Recordings, Phonique's Ladies and Gentleman and Nick Warren's Hope Recordings among various Remixes on labels such as Get Physical, Suara and many more. His constant high quality releases ensure him new opportunities to showcase his DJ and live sets.